You’ve been working on your book, getting it ready for publication. Maybe you’ve hired a designer to create an eye-catching and sophisticated cover, and that’s usually a good idea. But let’s say you’ve decided to do the interior layout by yourself. After all, there are lots of places you can get information about how to create a good-looking book interior. 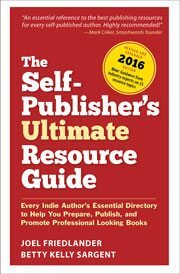 It doesn’t seem quite as difficult to most people, although that might depend on exactly what kind of book you’re publishing. Inevitably, the first decision you’ll make about laying out your book is what size it will be. Vendors like CreateSpace and Lightning Source offer a great selection of sizes for almost any kind of book you might imagine. For instance, if I was designing a novel for print on-demand, I’d probably pick either 5.5″ x 8.5″ or 5.25″ x 8″, both standard sizes that are easy to hold and feel good in the hand. The next decision you’ll have to make is what font to use for the main body text of your book. Now, most people have long lists of fonts on their computers, since many programs come with fonts and they often get installed along with the programs. You might be able to find something in these free fonts that will work for you, but many of these fonts won’t be appropriate for lots of kinds of books. But you – as a wily internet user – know that there are lots of free fonts available online. Why not just surf over to one of those sites and download a font for your book? Fonts that won’t embed—When it comes time to upload your book files, you’ll need to create a PDF with the fonts embedded in the file. The problem is that some of the fonts you download from free font sites simply won’t embed due to technical or legal restrictions. You don’t want to get to the end of your layout process with hundreds of pages that are now perfect just to find out you’re going to have to replace the main font and potentially re-paginate the whole book. How can you tell whether the font you just downloaded will work? The only real way to tell is to set a chapter or a few pages with the font and then try to create the a PDF file for just those pages. You can easily find out if the fonts are embedded by opening the file in Adobe Acrobat and checking under the File/Properties on the Fonts tab. Every font in the list needs to show “Embedded” or “Embedded Subset” for your file to work when it gets to your printer. If the font didn’t embed, stop now and save yourself the work of redoing your whole book. Fonts that are illegal—I know, it’s amazing that people post links to property that they don’t actually own, isn’t it? But hey, it’s the internet, and these things happen all the time. If you’re downloading a font from a third-party site, you need to know this. For instance, if you can download a font created by Adobe that you found at “Freddy’s Free Fonts,” you should question whether Freddy bothered to get the rights to distribute it. Font foundries often offer free fonts, so you can always go to the foundry’s own website to see what they have available. That way you’ll know the font you have is totally legal, since it came from the manufacturer. You’ll find my recommendation about free font sites at the end of this article. Incomplete. Fonts that were created for a specific function, like a headline in an advertising campaign, are frequently incomplete. They might not have all the glyphs and symbols standard fonts have, or they might lack an italic version to go along with the roman. You don’t want that. Badly drawn. A sample might look good, but what’s going to happen when you pour your 100,000-word manuscript file into your layout and have thousands of lines of type? Book pages will show off any eccentricity in the typeface, often with nasty consequences. A cute-looking flourish on a lower case “g” for instance, can make your page look “blotchy” or like it has little “flags” popping up everywhere. Misaligned. In a sample, you might not notice that the font doesn’t sit properly on the baseline, but in your book this will show up right away. Same for “set width” errors, where the amount of space each letter takes up has not been calculated properly, causing some letter combinations to have too much or too little space to typeset properly. Because I’ve been typesetting books for many years, I’m pretty careful about the fonts I use. I have no hesitation about downloading free fonts from foundries like the ones in the resource section at the end of this post, and you should be confident about fonts you acquire this way. The best site I’ve found for third-party free fonts is fontsquirrel.com. This site aggregates fonts from lots of sources and guarantees the fonts are free for commercial use. Fontsquirrel.com also links to foundries and to myfonts.com, the huge site that sells fonts from most font foundries, in case you decide to buy a font instead. So go out and explore, now that you know what to look for. There’s a whole world of free, high-quality fonts to discover for your next book project. If you’ve got a favorite free font resource I’ve missed, let me know in the comments and I’ll update this post. Great article. Just too late. I did the file>properties> fonts and there are some fonts that are not embedded. Question is how do I find them in my document (MS Word 2019) to change them? I do not understand how it is possible that everybody say that we are allowed to use fonts from OS Windows if inside the font folder there is not EULA or any full license document. I just got in touch with Linotype support and contact to see if they actually confirm that I am allowed to use Palatino already installed in my windows 10 laptop. I say that, because inside the Palatino Linotype desktop license that we can find in their web where they sell it stand alone, the license clearly say that we are allowed to use it only for personal purpose and not allowed for sell any commercial product, that sounds to me even books paperback, as they actually are commercial products for sale. First of all: Great article and website! Super helpful. Thank you so much. I am completely new to self-publishing and I am considering the free Fanwood typeface for publishing my book with Amazon (paperback on demand printing, as well as ebook). As you mention above, when I create a pdf file, the font-tab needs to show that the Fanwood-font is embedded in the file, however when I create a pdf-file with the Fanwood typeface I can’t see the “embedded”-message in Acrobat reader. Does that mean that I won’t be able to use Fanwood for publishing or am I doing something wrong? Hi, I’m new to the self-publishing world, but I want to use certain font for my book. It’s going to be printed, not an ebook. The font I’m wanting to use is from Fontpalace.com, and says “free for personal or commercial use”…I’m planning to sell my book, so…is it legal to use that font? Thanks. Thank you for this great article, Joel. Question: do you have any recommendations on sites to get fleurons? Hi Joel, Great article. Appreciate the tips. One question: If your designer purchase a license for fonts for a print book and then wishing to also convert the book into an eBook, do you have to re-purchase the fonts? Is the licenses per book? I used fontsquirrel.com and got a bunch of crapware with the download. Spent the morning cleaning it up. I’m designing a book for “hard” copy print, so it’s not an Ebook, I don’t need it for the web and it is not an application or OFL/Apache either (I don’t even know what the latter is!) That leaves me with “Desktop”! Is this license OK to use for printing a “real” book? Failing that, could I use any of the Google fonts for printing books without any trouble? Thanks – great site & fab info by the way! Matty, if you’re doing a print book you should be able to use any of the fonts on fontsquirrel.com with no worries. The license restrictions mostly apply to embedding fonts in ebooks, or using the fonts in a commercial product where you transfer the font files themselves to a third party. Good luck with your book! I’d like to use the same font for my ebooks and the printed book, if possible. A font like Georgia. But I can’t find what is legal or not to include in .OTF. And I can’t find what is a complete font, with all the characters, and able to display French characters (é, è, ë, à, â, û, ô, ï, ü, ç) texts. That’s very difficult to know what is legal, what is legal, and what is appropriate for the display of printed title, printed text, ebook title, ebook text. So many cases to consider. LI, I’m not a lawyer or any expert, but I was in your situation and I think I can spend few minutes to just tell you what I found out during 2 months of full research…A lot of people use windows font installed and a lot don’t because there is not a clear EULA that you can read. Many of those are Monotype fonts, so I got in touch with them and they told me the license is different and that they can not to say how legally we can use them because that license is a “special license” given to Microsoft, so only Microsoft can say what to do. Well, inside Windows web site there is no way to find an EULA, you can only find a web page that barely say what you can do, but nothing legal. I got in touch with Windows as well, NOT by phone, but E-mail as it can be a legal written proof (not very safe though) they answer me smoke…I required an EULA for the Palatino Linotype font three times and for three times they did not want to provide it to me, instead they insist to call a phone number, but I advice anybody that only a real proper EULA can be a full legal proof and NOT what a Microsoft call center user can tell you. Windows Desktop License does not gives you the certain that you can use the font for a commercial project at all. NOthing happen for sure til your book become a best seller, than in that case they knock at the door….Absolutly DO NOT use those fonts for e-book never ever, because it is distribution of font software, if you want to risk just use it for print, but do not never give away the file neither for free, neither in PDF. Just be really aware of free fonts and download them from the font author with its own EULA and do not download from third party web sites as they say they are NOT responsible if the EULA does not much with the original one of the real author that owns the copyright…Fontspring is a good website where to buy fonts, even cheap that allow you desktop and ebook license (for one title, unlimited sell) for the same font…if you have a lot of money go with Monotype…I recently found Gandhi Serif and Sans thanks to Joel and downloaded from their official web site, I even got in touch with them by facebook…it is a good font, I don’t know if they support French characters though, consider that if you insert letters as “special characters” the ebook file can cause issues. Thanks for the article. You did not list any good free fonts that would be suitable for a self published book. What would you recommend? Is Century Schoolbook L a decent one? Is it even free for commercial use? I have done a lot of searching on Google and am not finding anything definitive. A short list of good professional free for commercial use list would greatly increase the helpfulness of this article. Dave, I can do even better than that. If you surf over to BookDesignTemplates.com you’ll find 14 templates for book designs, and all these templates use freely available fonts. Each design lists the fonts used, and you can download a 3-page, full size sample of each to see exactly what they will look like. Thanks for the quick reply. I checked out that site and they do have some nice fonts. However they charge $100 for a multi book license, and $37 for a single book license. Seems like there must be a nice professional font that is license free and in the public domain that would be good for a self published book. This does not seem like easy info to come by. I wish I could find a list of fonts and their licensing status. That would be handy. Dave, you don’t have to buy the templates, it was just a way to show you some fonts that you can get for free. All the fonts used in the templates come from the sites linked in the article above. Thanks for a great tip! I downloaded some fonts used in those templates from fontsquirrel.com. I’m just about to self-publish my first book on CreateSpace and I wanted a nice, free font for book interior – until I start working and I will afford the awesome Garamond. I love your site so Im sorry to quibble, but I need to respond to your comment about illegal fonts. As you may not know, fonts are not copyrightable property, so I doubt it is actually illegal to distribute them. This has been law for a long time. All fonts are considered to be public property, just as ideas are. It doesnt seem fair, does it, and it certainly may be immoral to distribute them, but I doubt its illegal. Alexander, thanks for your comment. Although the shapes and letterform designs cannot be copyrighted in the U.S., the computer files you obtain to create those forms are indeed protected by copyright. Since you cannot create typesetting without the scalable original files, the end result is pretty much the same, and in seeking to educate authors, I don’t want to put them in a position where they are violating the copyright of whoever created those files in the first place. So, respectfully, I’ll disagree and stay with my original caution. Hi. Thanks for such a useful post. I am bookmarking for if I decide to self-publish. I found this site recently: http://www.dafont.com/ which I think is great. But I’m left with a question: when it says ‘donate to author’ so it is free but you can pay if you want, what is the usual amount? No usual amount, pay how much you’re happy with them, pay your happiness, and what you can afford for a font, to encourage them. Michael, I think there are probably a lot of people out there who do use the fonts on their computer as you do simply because they don’t know any better. I suspect it’s simply not cost-effective for the foundries to go after the little guys. And if you’re using CreateSpace to publish your book, you can avoid the whole issue by just sending them your ms and letting them design it. However, if you’re designing it yourself, I think it is a consideration even if no one comes after you. All of us who own intellectual properties would like to be compensated for our efforts. From what I’ve seen, I don’t think all the fonts are made by big foundires like Adobe. That being said, I did manage to find a very nice, clean, easy-to-read text font (Lora) and dingbats (Nymphette) at fontsquirrel.com. I was going to upgrade to Microsoft Professional Office so that I could use their fonts commercially depending on individual agreements on certain of their fonts, but a very nice rep (Lucas) at Microsoft I consulted to find out where I could find these font agreements clued me in on why I was having a problem installing the free fonts from fontsquirrel.com. So for me, the problem is solved. As someone whose websites and photographs have been ripped off more than 100 times by competitors, I am very conscious of intellectual property issues. I have plagiarism warnings on my websites and have reported a few thieves to the FBI. I’ve spent a lot of money buying typefaces from legitimate sources such as Adobe and MyFonts.com. I buy photos from Fotolia and iStockPhoto. Also, although I am unaware on any limitations on using the typefaces supplied with the ‘lesser’ versions of MS Office, I use Pro. Very useful post, Joel, thanks. And great timing! Due to send my MS for interior layouts next month. 1. I’ll use Garamond for the POD. Is it recommended for ebooks, please? 2. With the various versions of Garamond – Microsoft, Adobe etc. is it considered to be in the public domain? If not, should my book designer/lay out artist carry the license, or myself as publisher? I’ve searched the net, but the only licensing I come across is for workplace computer stations, not books. 3. I use Georgia on my blog and advertise the (upcoming) book on it, so it would be considered commercial. Do I need to license that font also? Or is this this covered by the word press subscription? I’ll let the lawyers in the audience deal with #2 and #3, but I don’t think you need to be concerned about licensing typefaces. I never think about type licenses, and have not been arrested or sued after publishing over 20 books and over 50 websites and blogs. Don’t use typefaces such as genuine Helvetica (sold by Linotype) from “FREE” websites. For #1, keep in mind that with non-PDF e-books on most e-reading devices, the person reading can control type size, typeface, page color and horizontal/vertical orientation — completely altering the desires of the page designer. I generally format my e-books with Constantia — but my readers may select Arial, Georgia, Trebuchet, Times New Roman or another face. A tip about Garamond. I really like Adobe Garamond Pro, but the characters are “slim” and can get lost on cream-colored paper. AGP is fine on white, but if you want to print on cream, pick a heavier face to provide more contrast for easier reading. Good advice, Joel. Timely too – I’m launching my debut novel next week so have had the headache of font selection to deal with. In the end, I plumped for Goudy Old Style. Granted, it cost me a little, but I really like the look of it on the page. Ryan, exciting that you’ve gotten to the final stages of getting your debut novel out, congratulations. Goudy Old Style is a beautiful font that I’ve often used over the years. One way to deal with the price of fonts is to establish a “house style” for your books, use the same font for all of them and amortize the cost over all your titles. I looked at fontsquirrel.com and notice that some fonts are OTF and others TTF. Does it matter which you use for a print document? Is there a question of licensing if a font is to be used for print? Word fonts: Can any of these be used for print (a book) without infringing on licensing? Which would you recommend for interior text–garamond? Thanks for the way to check if the font is embedable in a PDF. The answer to this question is, “it depends.” If you purchased Microsoft Word as part of a home/student edition, then technically the software license extends only as far as what you make for personal use and individual fonts that were distributed with Word may have licenses that hinge upon the one that Word has… meaning that if what you make in Word may only be for personal use then the fonts delivered with Word may also be used only for personal documents. If you have Word Professional, then the license grants you considerable more flexibility to make documents for commercial use (whether in documents for sale or for internal business use), but you should still check to see what the license terms are. Thanks for the clear explanation of a confuising subject, Rob. Valerie, TTF are True Type fonts and OTF are Open Type fonts. You can use either, although OTF is a newer and more robust standard and generally preferable. But you can use either one for print. Each font on fontsquirrel.com has a license that explains how you can use the font, and most of them are completely unrestricted. But it pays to check because some do have restrictions. @Rob Siders addressed the MSWord situation, I would just add that Garamond is one of history’s most popular book fonts and I wouldn’t hesitate to recommend it. OTF is needed for including as a file in Amazon Kindle books. TTF or OTF are OK for other uses. The right typeface will make the reading experience pleasurable. The wrong one will make a reader put the book down. It’s a fact and an avoidable reason that some books fail. And we don’t want that to happen, do we? That’s one of the reasons I keep writing about fonts but in truth, you need to experiment to find out what works for your own books. Thanks, Andrea. Obviously, another font fanatic! Thanks for the resources, Joel. Great post today. WRITE ON! Confession: yesterday I was writing an email and at the end, signed off with “Write on!” I actually laughed out loud and thought of you. Newbie designers should keep in mind that there are many variations of free and paid-for typefaces with the same or similar names. You can get “Garamond” from Microsoft, Adobe, Three, Stempel, Berthold, Simoncini and others. There may be dozens of variations of Helvetica. Some typeface names seem to be deliberately deceptive. “Helvetic” is likely named to make people think they are getting “Helvetica.” You can download Helvetic for free while seeing advertising and possibly infecting your computer with a virus. Genuine Helvetica (from Linotype) costs $29 for one variation or $693 for the complete set. There are even websites offering free (illegal) downloads of genuine Helvetica and other faces. You can’t rely on the descriptions of typeface weights. There are no standards for the use of the weight names. In one face, “book” may be bolder than “medium” but in another face it may be less bold. You have to look at sample charts — don’t merely rely on names. Faces that may look nearly identical in text size will show differences in larger sizes used for covers, title pages and chapter openings — and the variations should be explored and analyzed. Some faces work well when enlarged, others don’t. You can even mix faces if you prefer the shape of a comma or period (they’re not all round) of one face and the letters of another. When you purchase a typeface, its italic font may look prettier than the italic fonts supplied by Windows, because the purchased itals are actually designed to be italic. They’re not merely roman type slanted by your computer. Microsoft’s Garamond italic is really oblique — not italic like Adobe’s Garamond. Strangely, not all type identified as italic is significantly slanted. Most Quadraat italic letters have near-vertical strokes, but some of those strokes have different slants. Thanks for the good tips, Michael. As a bit of a font fanatic myself, I thought this article was very useful and comprehensive. I would just add that some of the fonts on Myfonts.com are free and that they are a good source for keeping up to date on the world of fonts via their monthly newsletter. OK, that might be aimed more at advertisers or bloggers than writers, but they are usually a pleasure to look at! (And might come in useful for book titles). Good point, Marina. I love the monthly newsletter with all the great examples of typographic ingenuity. If you’re a font fanatic, it never gets old.